Ceramic Pro uses Nano technology in its application of protective coatings to a multitude of sectors. Ceramic Pro South Africa will enable its Franchise network to apply protective coatings to: Motor vehicles, Airplanes, Sailing vessels, Buildings, Wood applications, Tiles, Windows, Steel structures and Clothing. Ceramic Pro and its manufacturer Nanoshine Ltd are changing the dynamics of the coating industry. The company has for years worked on industrial multifunctional protective coatings for all surfaces and strives to continuously improve their products. In 2010 Nanoshine Ltd Introduced Ceramic Pro – a series of products for the automotive, air and marine markets suited for surfaces such as paint, glass, alloy, fabric, leather, plastic and rubber. 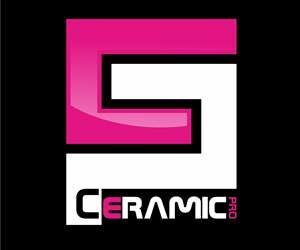 What makes Ceramic Pro different is the cutting edge technology based on ceramic molecular compounds (nanoceramics). The formula is world patented and it has taken ten years of research and testing to bring the product to where it is today. All formulas include SiO2. All Ceramic Pro products have been tested by SGS, the world leading inspection, verification and certification entity. Ceramic Pro achieved the highest possible result in each test; no other automobile paint protection product to date has been officially tested. All products within the Ceramic Pro range have been tested and certified as nontoxic. A dynamic, self-motivated individual who is determined to succeed and willing to work hard to achieve just rewards.